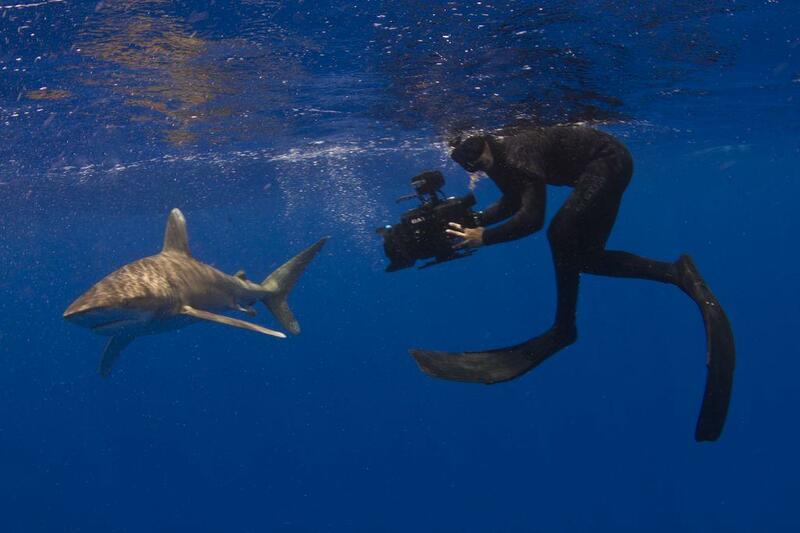 Underwater Filmmaker Joe Romeiro has brought us some of the most fascinating and informational shark documentaries over the past four years. This year's breach-tastic Monster Mako proved once and for all that the Shortfin Mako is indeed the fastest shark in the sea. In his newest work, The Edge, Joe takes a more sentimental tone, imploring his viewers to evolve in the way we see sharks in order to save them from extinction. Joe and his film partner Bill Fisher have loved sharks since they were kids. They teamed up to form 333 Productions after meeting on a shark diving expedition and have been producing documentaries that encourage shark and marine environment conservation ever since. Rather than portraying sharks as fearsome predators, they paint them in the same awe-inspiring and beautiful light through which they see them and remind viewers that these creatures are on the verge of extinction. The Edge does an incredible job at achieving just that. Join Joe and Discovery by Changing The Tide for sharks.